A raised pattern of dots and stripes adds tactility and visuality to a classic design. 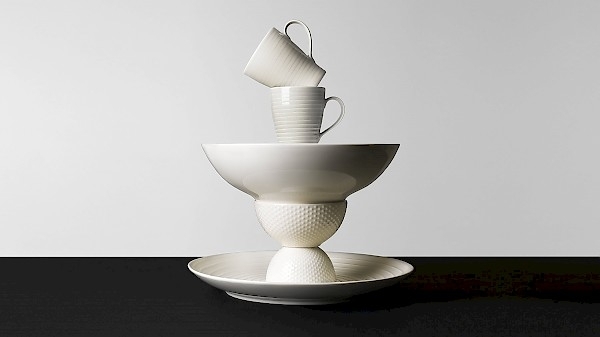 Blond is made of new bone china, and consists of different cups, saucers, plates and bowls. The dinner set was designed by the Reliefgruppen under the leadership of Signe Persson-Melin, Sweden’s first professor of ceramics.